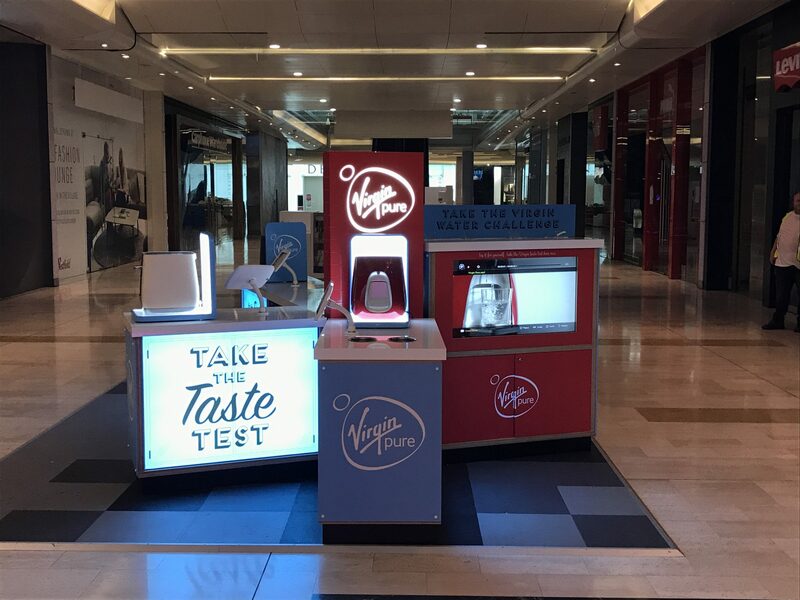 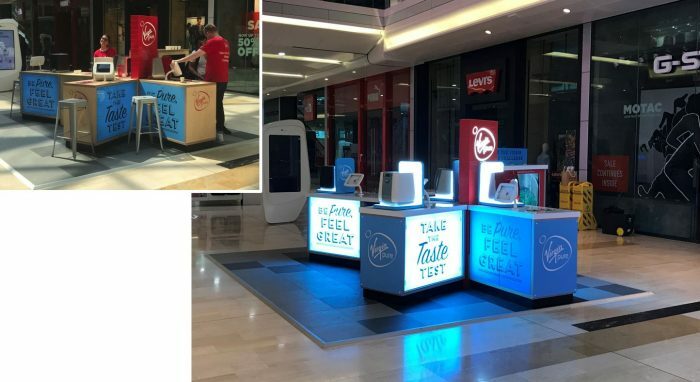 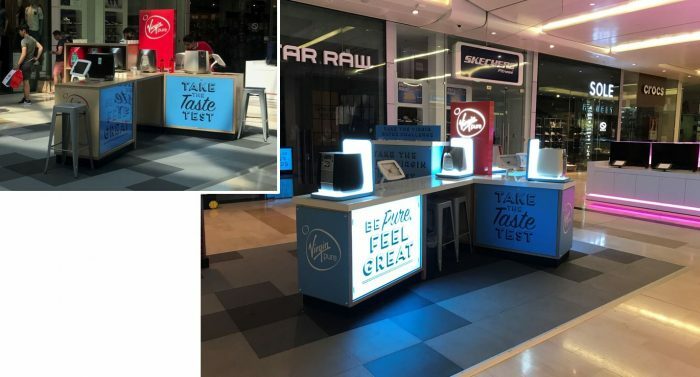 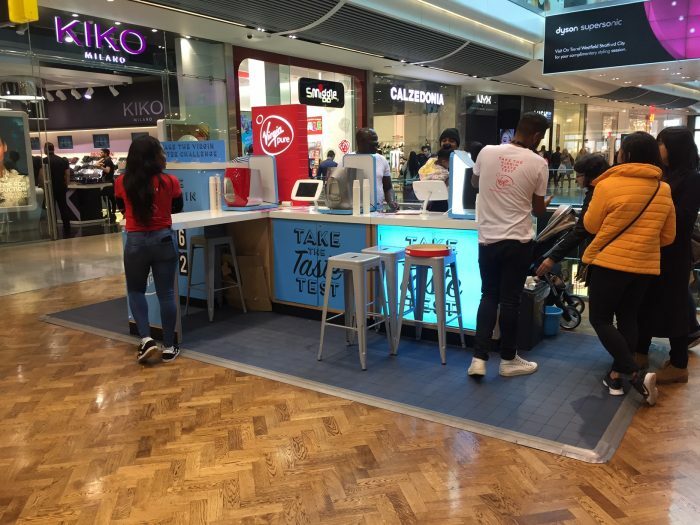 Three Point were recently briefed by Virgin Pure to transform their Water Bar Kiosk at Westfield Shopping Centre, White City, into a more premium looking retail area offering an engaging Shopper Experience. 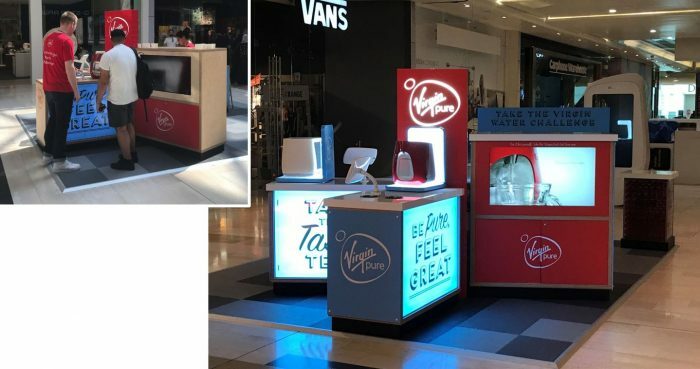 This was achieved by retrofitting new white gloss counter tops, adding more graphics and introducing 4 illuminated production glorifiers to give more emphasis onto the Waterbar units. 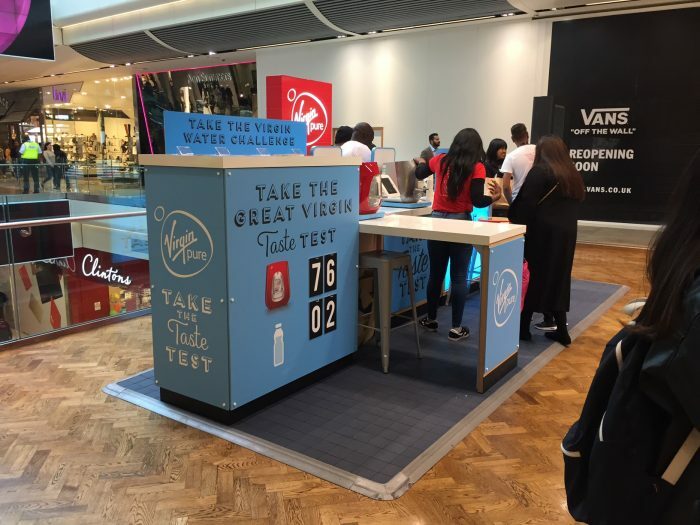 Upgrades also include the incorporation of a Score Board to encourage shoppers to take part in the Virgin Water Taste Test Challenge. 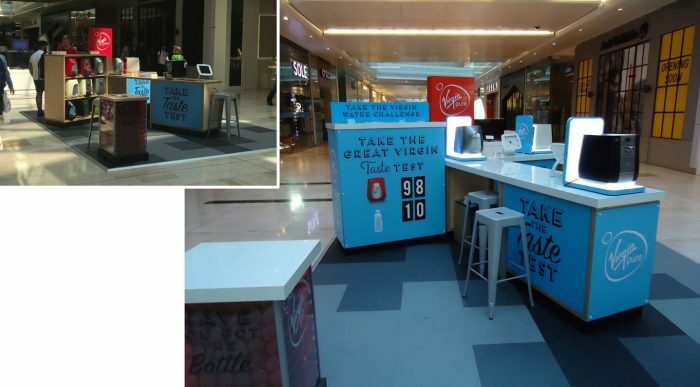 The upgrades were met by high praise from the team at Virgin Pure. 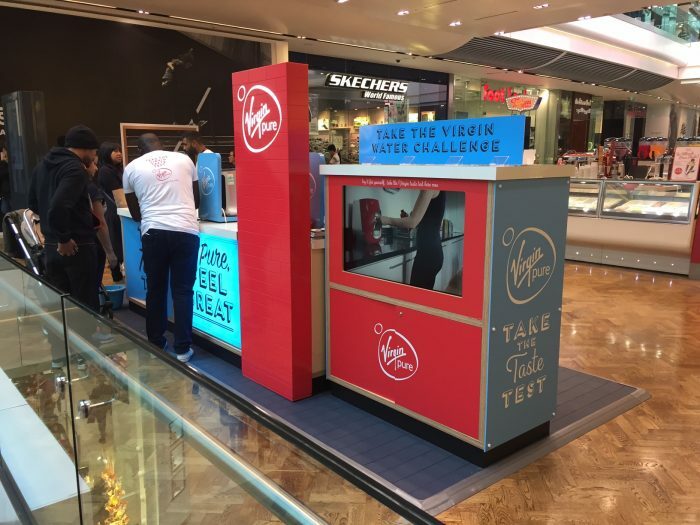 The Kiosk has now been moved to Westfield Shopping Centre at Stratford for a 6 week period.